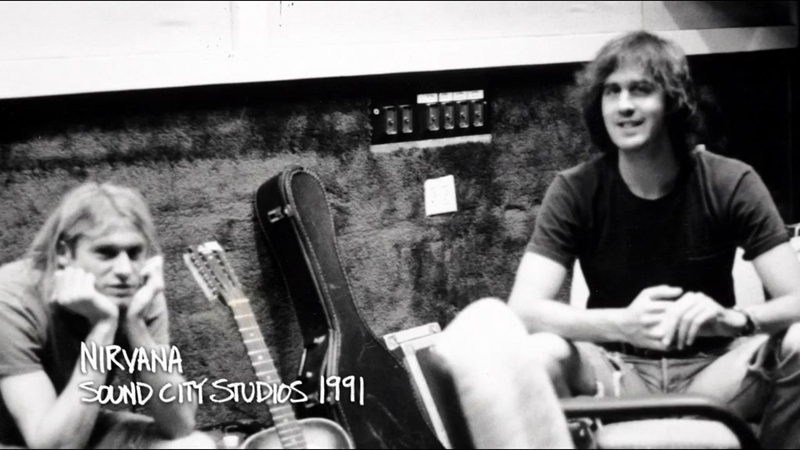 There aren’t many photos or video footage floating around of Nirvana during the “Nevermind” recording sessions in May of 1991 at Sound City Studios. 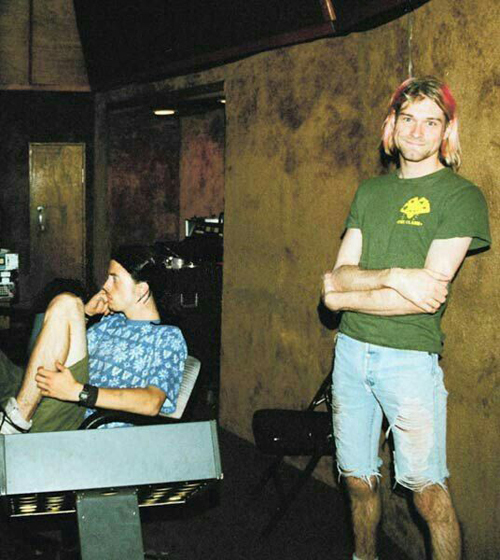 A few photos surfaced in the Sound City Movie documentary showing Kurt Cobain, Krist Novoselic & Dave Grohl recording what would become one of the biggest albums of all-time. 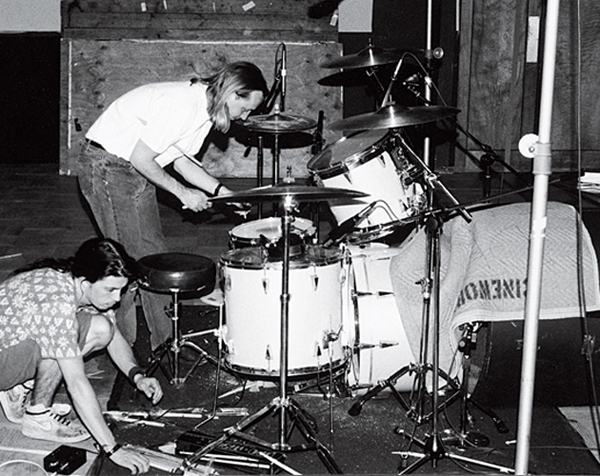 This photo of Dave Grohl setting up his drums with producer Butch Vig is one of the only photos taken inside the live room at Sound City during the “Nevermind” sessions. It gives a pretty cool perspective of the drum set up used for the recording. 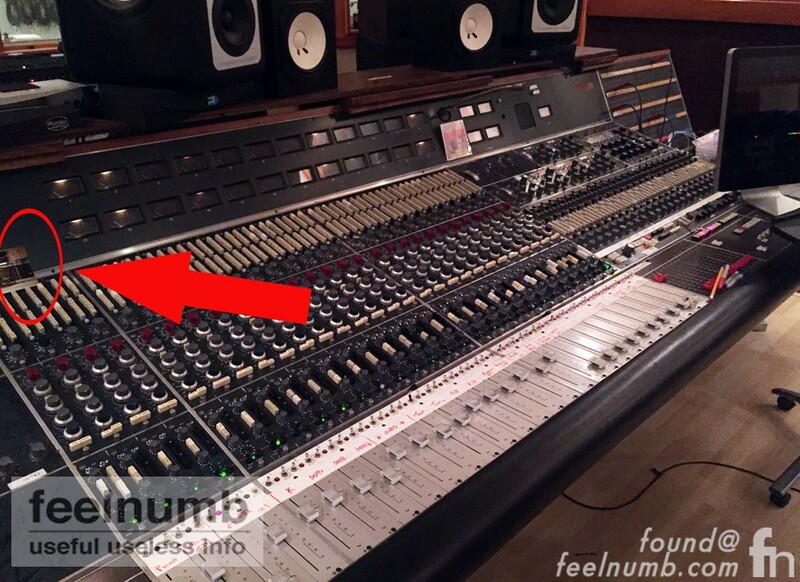 The Foo Fighters “Studio 606” is the home of the famous Sound City Neve Electronics 8028 Console purchased by Grohl in 2011 and documented in the 2013 film “Sound City”. The board was used to record legendary albums by Neil Young, Tom Petty and the Heartbreakers, Ronnie James Dio, Metallica, Red Hot Chili Peppers, Johnny Cash, Fleetwood Mac and obviously Nirvana to name a few. 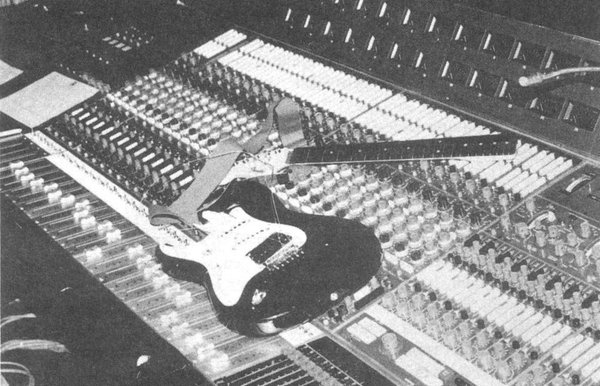 Here’s a photo of Cobain’s guitar, broken during the recording of the song “Endless, Nameless” on the resting on the console. Recently while at the Foo’s Studio 606, I took the photo below and noticed an old photo resting on the console. Upon closer inspection, the photo sitting there unframed above channel strip #1 is a never before published photo of Dave Grohl’s Nirvana “Nevermind” Drum Kit set up. Check it out!!! Soak in the “Inception Moment” brought to you by feelnumb.com. 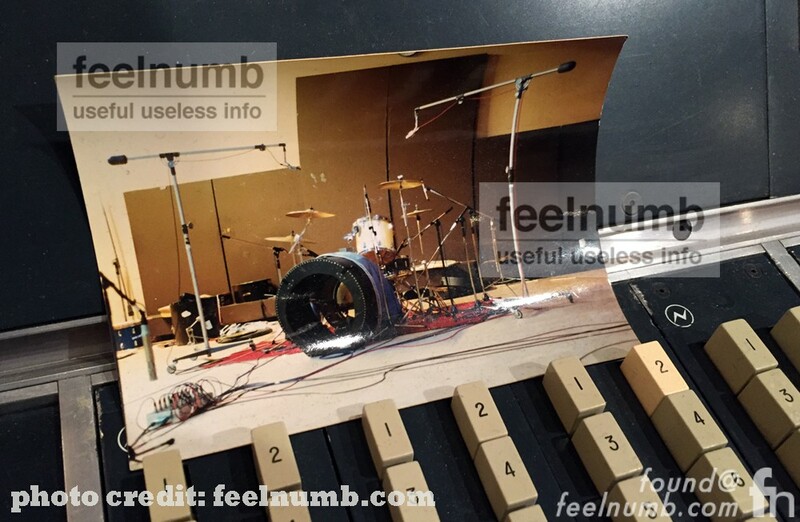 Want more cool Nirvana feelnumb.com EXCLUSIVES??? 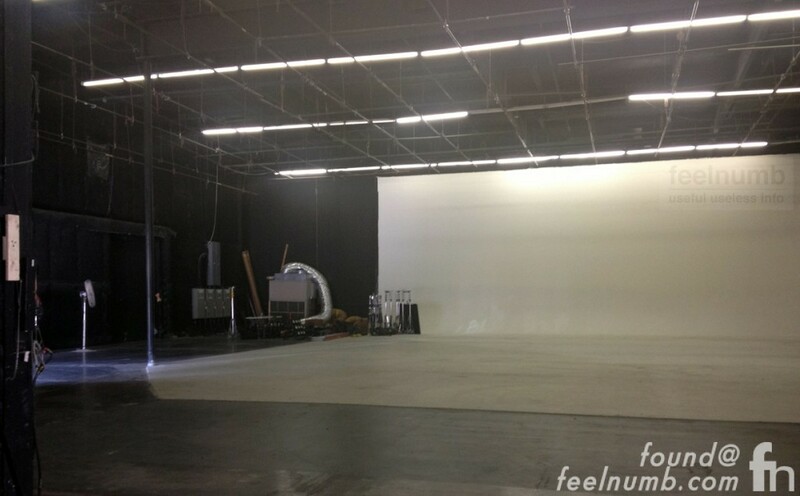 Click below to see the sound stage were the “Smells Like Teen Spirit” video was filmed.